Mayan Prophecies: Ship of Spirits offers you experience one of those days when your day turns absolutely not what you would expect it to. 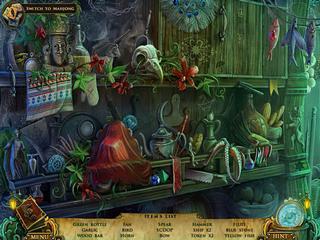 The game is a great example of a well done work on a hidden object puzzle adventure game. If you want to play the interactive hidden object levels, you are welcome! If you don't really feel like it, you can play mahjong! You play as a coast guard, and you think you are just about to catch a criminal. But you end up on a spanish galleon before you know it. You'll say: "Spanish galleon? What era are we in?" Exactly! The ship has gotten lost in time. And it carries all the fun with it as it travels. You are to join the party. The graphical presentation is very impressive and lovely. Lovely in a sence that you enjoy being there. Lots of stuff from different places, many details, bright colors, etc. The music and sounds are matching the picture. Now about the gameplay, The game is literally full of everything. There is a lot of mini-games to play. They offer a decent amount of fun nd challenge. If you want to play the interactive hidden object levels, you are welcome! If you don't really feel like it, you can play mahjong! The game challanges you to collect all kinds of things related to the Mayan culture. There is a map and a journal and a SG to assist and help you out at you play. The game is a lot of fun to play. You really get a chance to slip out of reality and dive into the world ot adventure. Personally I think it should go into the trash. Because I am sick of this. Especially when cierbeitels and politicians go on about it. Good God, these are people who live in huge houses, has private jets and yachts, entourage of cars and they say the average citizen is to blame for their little global warming? It is all absurd especially if you truly look into it. Some of them know they lost and because of this now want to make it a crime to deny global warming. Look it up. It is all there. And it is all absurd. There is a reason why global warming enthusiasts never debate a real scientist but instead talk to people who either believe it or know nothing of Earth Science 101. 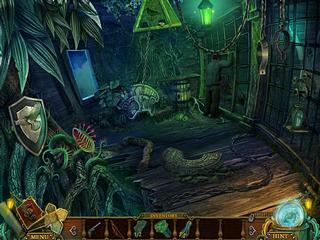 This is Mayan Prophecies: Ship of Spirits Collector's Edition review. Download this game here.